Do you want an arrival to the church that remains impressed in the memory of all the guests and that give you a really unusual and amusing touch? Do you want a means of transport not to go unnoticed? 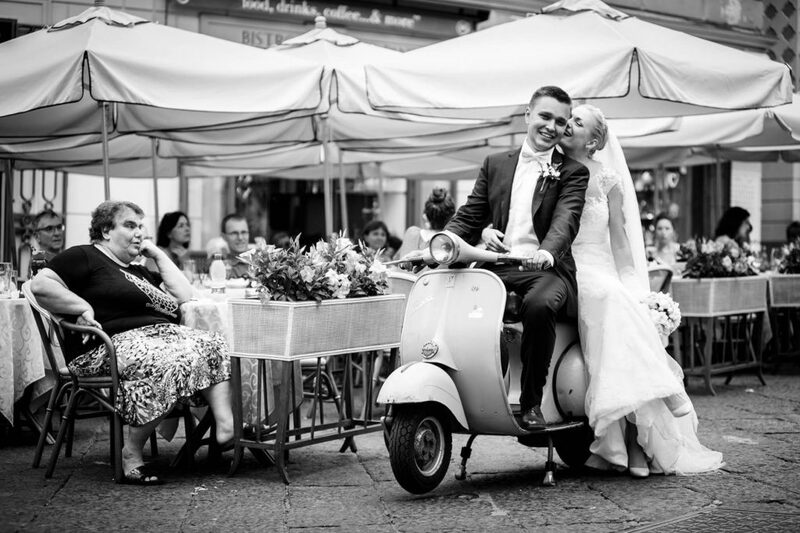 We will put at your disposal a splendid Vespa to accompany you during your movements and for the photographic service. 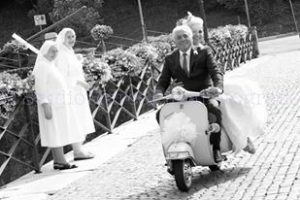 From the bride’s house up to the place of the ceremony and then and then to the reception: the nice Vespa will be the perfect mean of transport for such a special day.